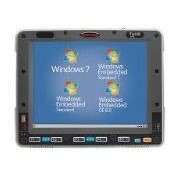 Maximise every minute with the CV41--the world's first vehicle mount computer with integrated Vocollect Voice support. Reduce forklift operator downtime, gain visibility into your fleet utilization and safety, and integrate seamlessly with the industry's broadest suite of advanced data collection solutions for your Distribution Center. To stay ahead in today's highly competitive business environment, warehouse operations managers need to contain costs and gain additional efficiencies wherever possible. 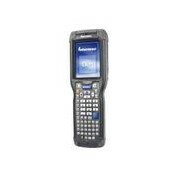 The Intermec CV41 vehicle-mount computer provides the ideal balance of operator usability, application performance, and ease of deployment and maintenance - all of which leads to improved forklift operator performance and gives you a true business edge. The CV41 delivers the freedom and flexibility to work the way you want. It is perfectly-sized for forklift applications, reducing visual obstruction and simplifying installation compared to full-screen devices. It is easy to standardize across your forklift fleet and resilient enough to handle tough distribution center environments. 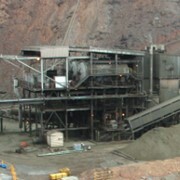 In addition, the CV41 offers the accuracy, productivity, and safety of hands-free voice directed work. 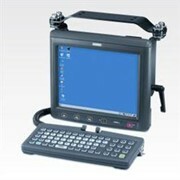 In fact, it is the only Windows® CE vehicle-mount computer on the market with Vocollect VoiceCatalyst. 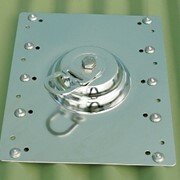 The pace of today's business doesn't allow for any weak links in your operation. Identifying and preventing problems before they happen is paramount. The CV41 exclusive device health reporting capability provides insight to allow mobile workers and IT administrators to monitor and prevent issues related to scanning, communications and battery life, before they impact operations. 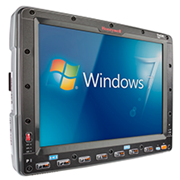 In addition, the CV41's fully integrated CAN-BUS interface enables you to run leading fleet management applications and gain visibility into your forklift investment and maximize its utilization. In a day where every second counts, the innovative on-off ignition sensing guarantees the CV41 is ready to work the moment you turn the key. When your operator needs to switch forklifts, the UPS back-up battery reduces reconnect and reboot time while a unique smart-mount dock design allows for easy, one-hand docking and undocking of the CV41. 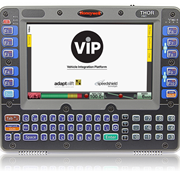 The touchscreen/keyboard is also designed to be field replaceable, so it is quick to fix damaged or worn items without having to box up and mail in for service. 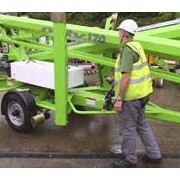 The CV41 seamlessly integrates with any forklift, any network, any facility, anywhere in the world. 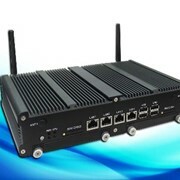 Its comprehensive network options include 802.11 a/b/g with Cisco® CCXv4 certification and integrated Bluetooth® for best-in-class wireless range, roaming reliability and security - even in areas where you might experience low signal levels or intermittent connections. The CV41 also comes with the option of a Qualcomm Gobi WWAN/ GPS wide-area radio for connectivity beyond the four walls of your facility. 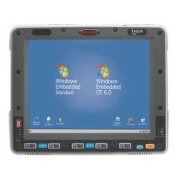 Sped by an efficient 1.6 GHz Intel® Atom Z530 processor, the CV41 features the Microsoft Windows CE 6.0 operating system for application development flexibility. 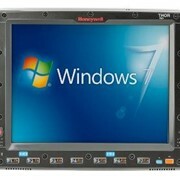 And the 20cm (8 inch) WVGA (800x480) LED backlit display also comes with the option for a 900-nit outdoor display. Built to withstand extreme temperatures, the CV41 operates across -30°C to +50°C (-22°F to +122°F) and also comes with an optional touch screen defroster for cold storage and freezer environments. 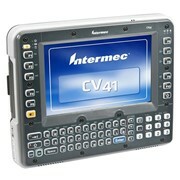 If you currently have Intermec vehicle mount computers in use, the CV41 provides the quickest and easiest migration path to replace aging equipment. 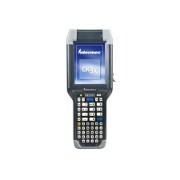 Workers will find the CV41 comfortable, familiar and easy to master as the keypad layout is consistent with the entire Intermec mobile computer line. 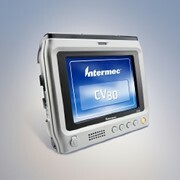 Included with the CV41, the Intermec Client Pack terminal emulation and industrial browser software provides fast, reliable and secure connection to your warehouse management system. 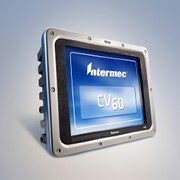 In addition, Intermec developer toolkits save you time in migrating your application software and deploying in multi-device environments. Best of all, the CV41 is just one element of the most comprehensive warehouse logistics solution available from a single company-extending your choices, simplifying IT support and providing you all the services you'll need down the road.